I’ve read so many Just So Festival reviews and seen lots of photos and videos on various social platforms the last couple of years. The impression I got was that it was a magical event just for families and I really wanted to experience it for ourselves. 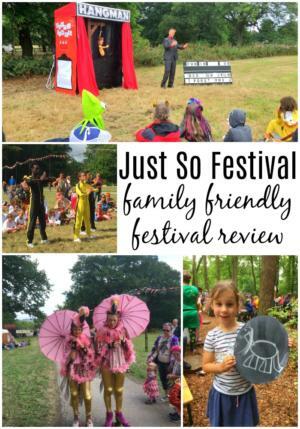 Well, this year we were lucky enough to be invited as a family to the Just So Festival and it was an opportunity and adventure I couldn’t pass by. Just So Festival is based in Cheshire so for Midlands based families it’s really accessible. From Nottingham it took us about 1 hour and 20 minutes to get there which is perfect for when you are travelling with excited young children. The girls grabbed their sleeping bags and headed off in hot pursuit of Daddy to help find a place to pitch our festival tent. I took more of a meander through the camping field with our crotec wagon and spent a moment enjoying the surroundings. 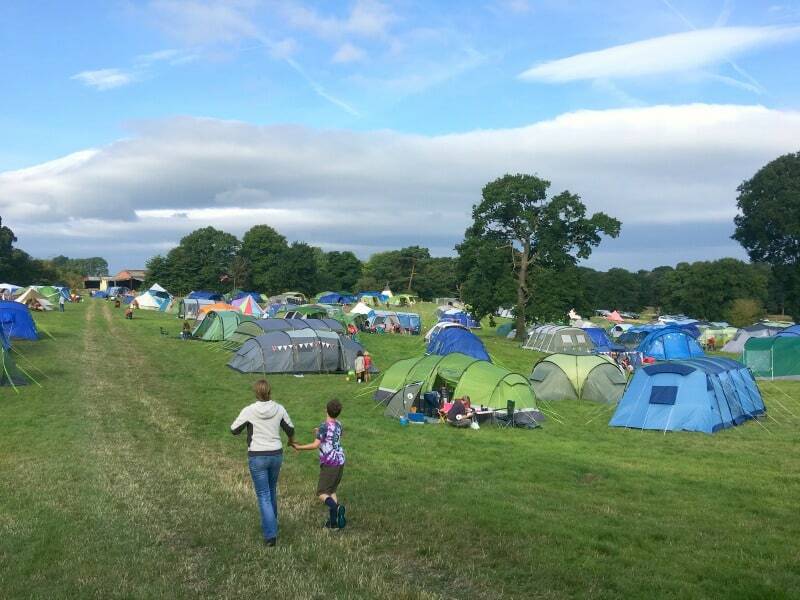 Seeing families pitching their tents and getting in the festival spirit was a very welcoming feeling indeed. I knew already that this festival was going to suit us and I was excited to find out more. 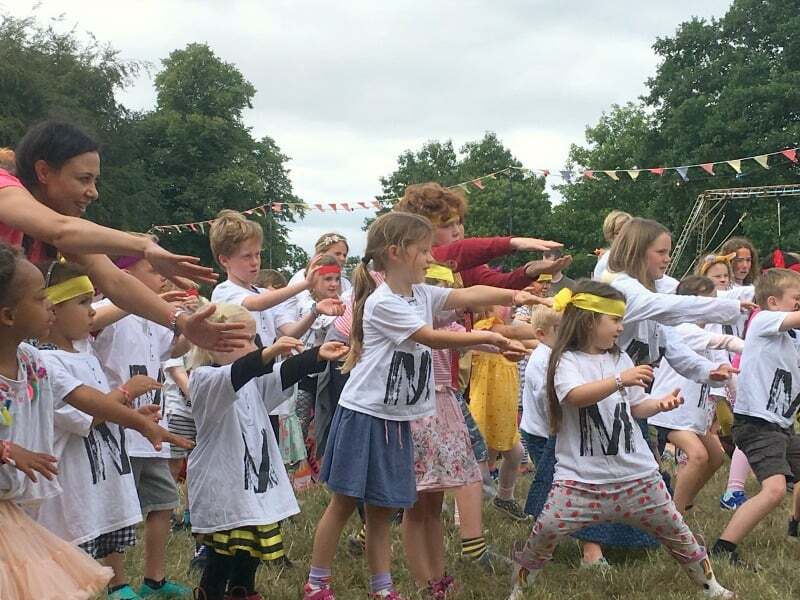 We ploughed through pitching tents and blowing up airbeds while trying to co-ordinate 2 excited small children until we were ready to walk through the festival gates. 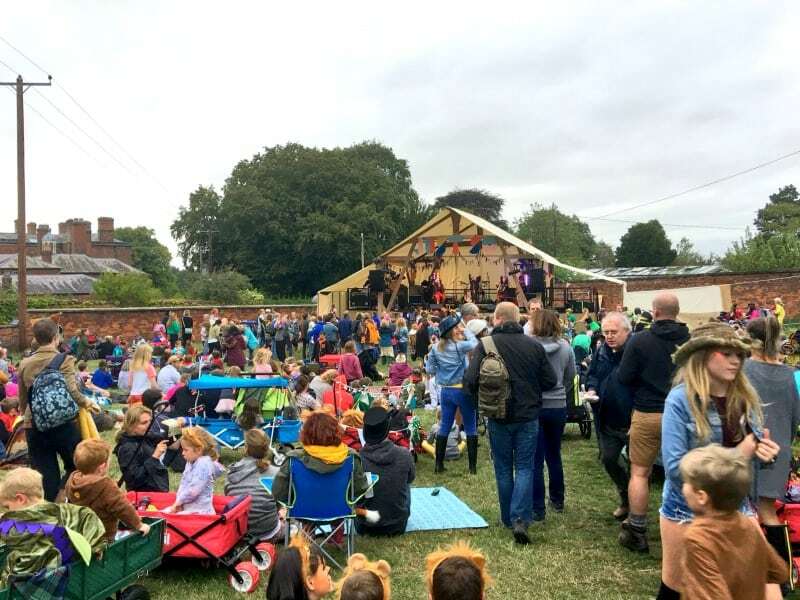 We spotted that as well as families there were foxes, owls, lions and frogs all eager to join the festival. I had been so busy before Just So that I had missed the memo about the Tribal Tournament! The different tribes collect golden pebbles throughout the festival and pass them to their tribal leader. The tribe who collect the most pebbles are declared the festival winners and it seemed to really bring everyone together. It was such an easy way for everyone to join in and feel like a part of the Just So experience. By the end of the weekend I wish I’d have bought some fox tails and embraced the tribal fun. Next year I certainly will be aligning our family with the foxes or the lions and immersing ourselves in this aspect of the festival to complete our experience. 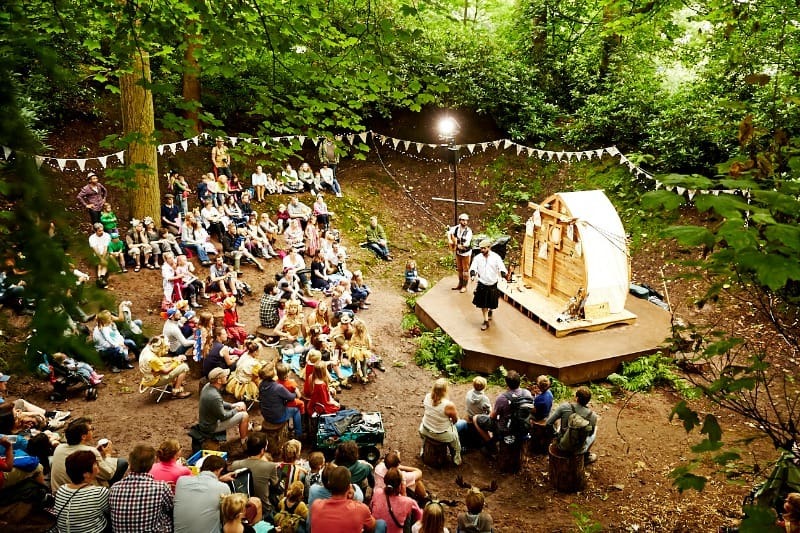 You might already have noticed that earlier in the summer we visited the Timber Festival in Derbyshire. 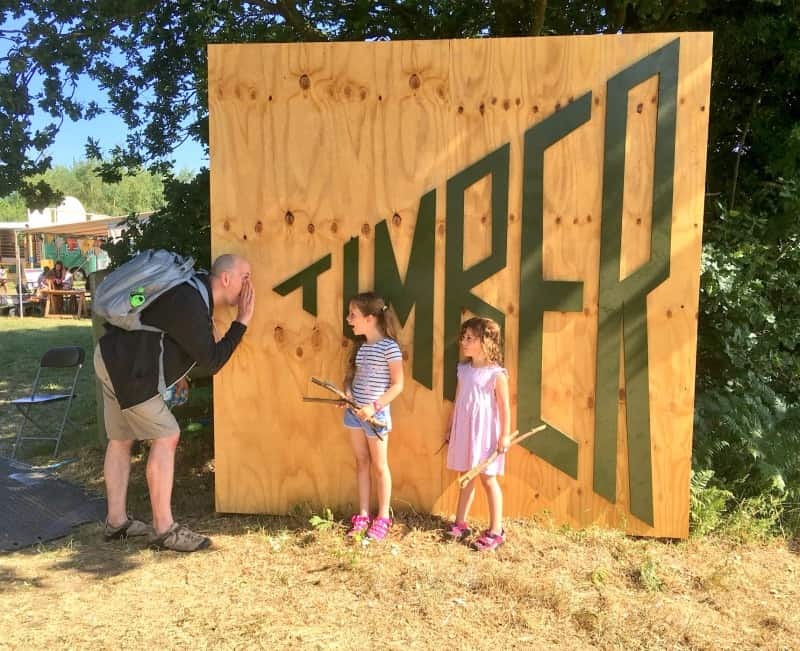 Just So Festival and Timber are both the creations of Wild Rumpus and it’s fair to say that if you enjoy one of these festivals, you would also enjoy the other. There was certainly elements of similarity between the two so that festival goers know what to expect. Just So Festival is creative and immersive and we really felt that from the moment we walked through the gates. The artistic installations are captivating and there is so much for families to do both day and night. The Just So Festival program is literally jam packed all day with story telling, music, dance and even debate! 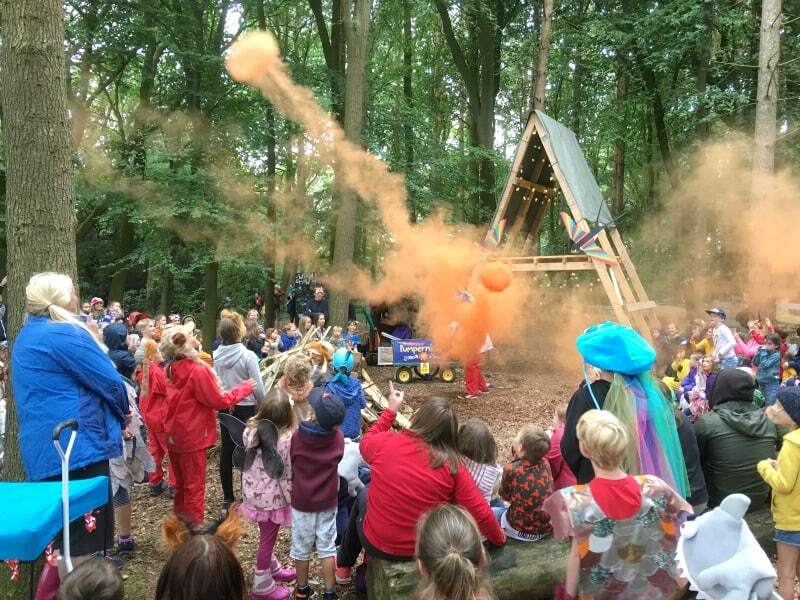 It comes across loud and clear that Wild Rumpus know how to organise a good festival from lantern making to circus skills, but for me one element was a little bit lacking. There is a group of children, say between the ages of 2 and 6 that don’t always want to do things at the time Wild Rumpus or anyone else tells them to do it. It felt to me that they needed a place that was less structured where they could enjoy some free play. Their parents might also enjoy a little downtime from running from activity to activity. I bet if Wild Rumpus created an interactive outdoor play area or sensory trail for this age group, they would do it so well. It would also really help those parents with younger children who don’t do structure so well enjoy the festival that little bit more. That being said, it’s not that there isn’t the opportunity for free play. Young children loved the sand pit by the lake and running through the maze. The table in the Enchanted Wood provided a great place for chalk drawings also. 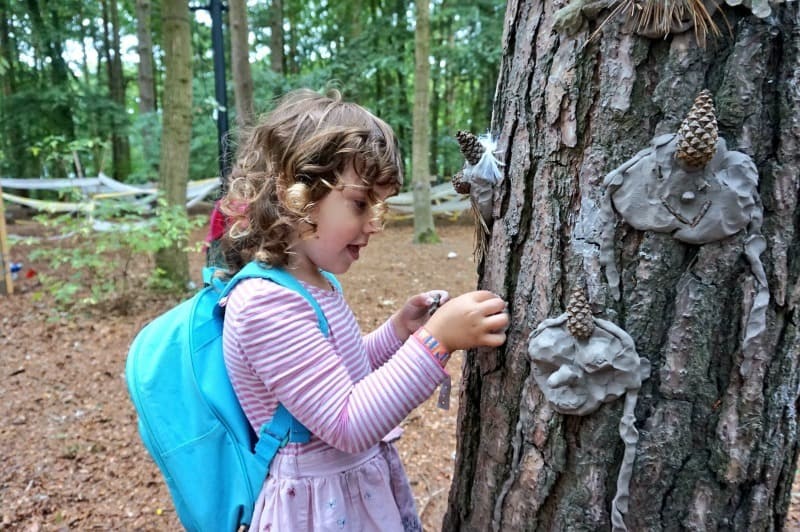 The venue of Rode Hall also has some fantastic grounds which are perfect for young children to explore. So many aspects of this festival ticked the family friendly box though and I can see why Just So Festival is growing in popularity year on year. The food court provides great variety for even the pickiest eaters, and there is a barn where you can take your food so you can all sit and eat together at a table. There’s even high chairs provided which is great. We popped into the games room every day for some downtime as we love a game of Dobble, and they had several versions of it much to Brook’s delight. If you prefer your board games a little more complex, don’t worry they had that covered too! The music was pitched just right for the Just So Festival experience too. The bands were fun and upbeat, which got literally everyone dancing, especially little Brook who was the happiest unicorn in the the crowd by far. A favourite moment for all of us was watching both the girls take part in the Modern Warrior show. We all really enjoyed this concept as the girls ‘trained’ with their tribe before taking part in the final battle. There was such a great energy and I loved the message about how old traditions and new modern ideas can actually work in harmony in the end. Hats off as always to the fabulous Ian Douglas for some incredible story telling around the camp fire which we all enjoyed. On the final day, we also made it to the clay faces workshop, and I had underestimated just how much the girls would love this activity. They definitely left their mark on the trees in the most creative way possible. So did we enjoy Just so Festival? Yes, absolutely we did! What’s not to love about being transported to a magical world where you bump into flamingos on roller-skates, watch a game of Hang Man come to life and can dance to your favourite Disney songs? As a family with 2 young girls, it ticked so many boxes and we would absolutely go again. 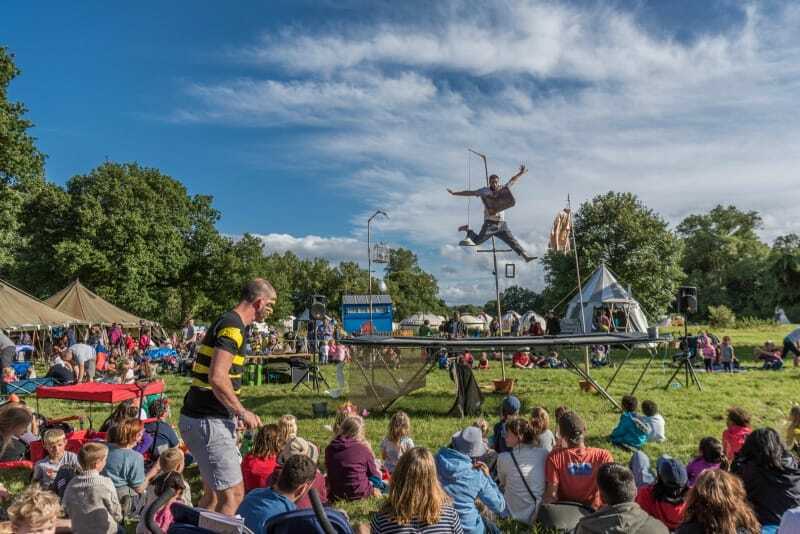 Looking for more festivals to visit in 2019? 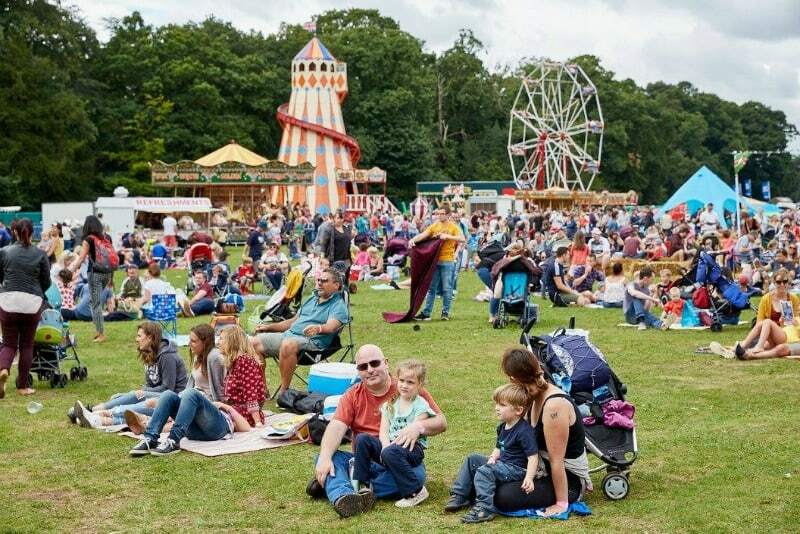 You will love our list of family friendly festivals then! If you haven’t been to Just So yet, here’s all the information you need to plan your summer festival. It’s going to be a big one as well as Just So Festival will be celebrating it’s 10th birthday, so I’d book now so as not to miss out! FREE weekend tickets for 10 year olds! We were invited to Just So Festival in exchange for this review but all thoughts and opinions are our own. Great review Zena! It was lovely to meet you briefly in the forest and hopefully we’ll bump into you again next year! This looks like a great family festival and one that definitely appeals to me, with its out-doorsy vibe. It’s a bit far for me to travel for a weekend but perhaps I could tag it on to a longer break in the North of England.